INDUSTRY.co.id - Surabaya - GIIAS Surabaya Auto Show 2018 yesterday was opened successfully and lively by the Head of the Industry and Trade Office of Prov. East Java. This exhibition will be held for 9 days from 15 September to 23 September 2018 at the Grand City Convex Surabaya. Followed by more than 70 exhibitors consisting of 11 brands of passenger vehicles, 4 motorcycle brands, and supporting brands of the automotive industry. The Brand Holder Agents (APM) who participated in displaying their latest output were BMW, Daihatsu, DFSK, Honda, Lexus, Mercedes-Benz, Mitsubishi Motors, Peugeot, Suzuki, Toyota and Wuling. While the 4 motorbike brands that participated were Yamaha, Honda Motor, Suzuki Motor and Benelli. As seen yesterday (15/09/2018) during the Press Conference, several participants who participated in this exhibition have introduced some of their superior products. One of them is Astra Financial which supports the implementation of the 2018 GIIAS Surabaya Auto Show as a sponsor. The presence of Astra Financial, to support the development of the national automotive industry, especially in the financial sector in synergy according to the competence of the six Astra groups. As is known, Astra Financial is supported by six companies in the Astra Group, each with ACC Brand, TAF and Astra Insurance, Permata Bank, FIF Group and Astra Life. 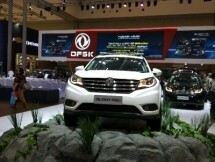 One of the participants who debuted by introducing its flagship SUV product was DFSK. Launching Glory 580 for the first time in East Java attracted the attention of many GIIAS Surabaya Auto Show visitors yesterday. DFSK is committed to delivering quality products according to the needs of the community. In addition, the DFSK also displayed the Supercab car. Both of these variants can be tried in the test drive area. Honda also took this opportunity to bring its newest flagship product, the Honda All New Brio. Other display products displayed are New Honda Mobilio, Turbo Civic Hatchback, All News Brio Satya, New Honda HR-V, New Honda BR-V, and New CR-V. At his booth, Honda also prepared the activity through personal mobility technology, Uni-Cub, a sophisticated vehicle of the future that can be tried by every visitor who is curious about this technology. At the Honda booth, visitors can try the Uni-Cub as a sophisticated vehicle of the future. Mitsubishi still carries Xpander which is still booming to this day. Launching with a new color, Metallic Bronze is a new drag for this type. Mitsubishi presents its best line of passenger vehicles through 2 other display units, the All Triton Athlete and the Pajero Sport Dakar. Consumers can also immediately feel the impression of driving a Mitsubishi vehicle through 2 units of test drive vehicles in this activity, namely the Pajero Sport and Xpander Ultimate, and Xpander Exceed. 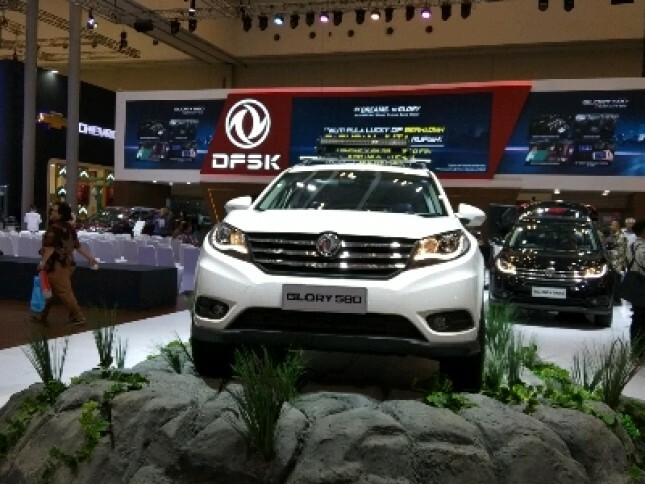 Wuling Motors again participated in the 2018 GIIAS Surabaya Auto Show. Wuling featured two of its flagship products namely Confero S and Cortez and featured a special unit of Electric Vehicle Wuling E100. This shows Wuling's readiness in presenting environmentally friendly vehicles. Visitors also had the opportunity to experience the thrill of driving with 2 test drives from the highest type both Confero S and Cortez. Various attractive offers have also been prepared. Among them, consumers who purchase during the exhibition with a sign of Rp. 5 million are entitled to participate in a lucky dip with prizes for iPhone X, smartphone, 5 grams of precious metal, various electronic equipment, E-toll and various other attractive prizes. During its implementation for 9 days, visitors will be spoiled with the special Free Carwash program and Free Massage from Go-Life. In addition, visitors can use the Free Entry #SahabatGIIAS program facilities at Weekdays which can be used tomorrow Monday to Thursday (September 17-20 2018). During weekdays the exhibition will open at 11.00 - 21.00 WIB and Weekend at 10:00 - 21:30. While free entry is valid for children under 4 years old. This applies also to elderly people aged over 65 years. For more complete information and information about the 2018 GIIAS Surabaya Auto Show, please go to www.giiasroadshow.com or follow the social media Instagram @giias_surabaya and Facebook GIIAS Surabaya.